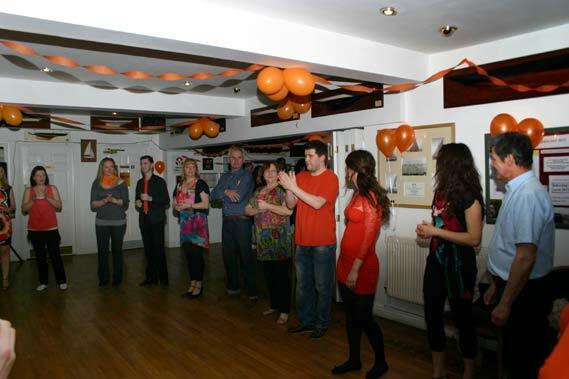 Our Charity Dance Night last Saturday (16 Feb) was a great success, and we raised over £319 for Ryde Inshore Rescue, as part of the independent lifeboats “Go Orange” appeal to support independent lifeboat stations. Crew members from the Appley based independent lifeboat station along with 60 other dancers, attended the charity dance night, where guest instructor, Portsmouth based Sylwester Matuszewski, taught the Rueda style of salsa. 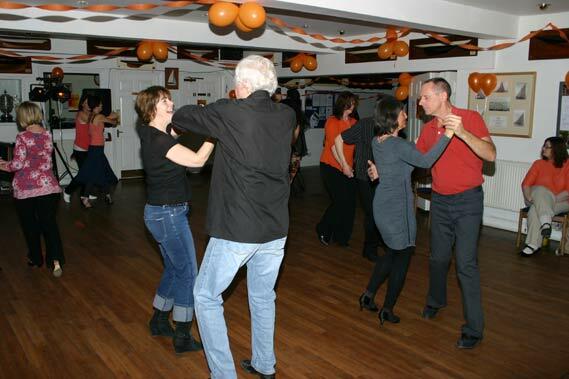 The event, held at The Royal Victoria Yacht Club, Fishbourne, introduced beginners to the salsa style of dancing, whilst our more experienced dancers learnt some new moves to incorporate into their routines. Thanks must go to those who bought tickets for the dance and the raffle, to those who donated raffle prizes (Lakeside Park Hotel, GayFlowers, Black Orchid, Narrow Boy Greengrocers, The Card Factory, & others), those who baked orange themed cupcakes, and to everyone else involved.